Set out dormant bulbs from late summer to early winter. Cover the bulbs to four times their depth with loose soil. 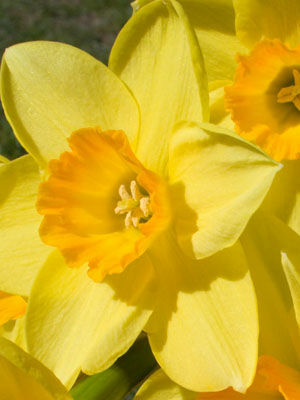 Allow 10cm(4in) between bulbs of miniature daffodils, and 15cm(6in) between taller varieties.